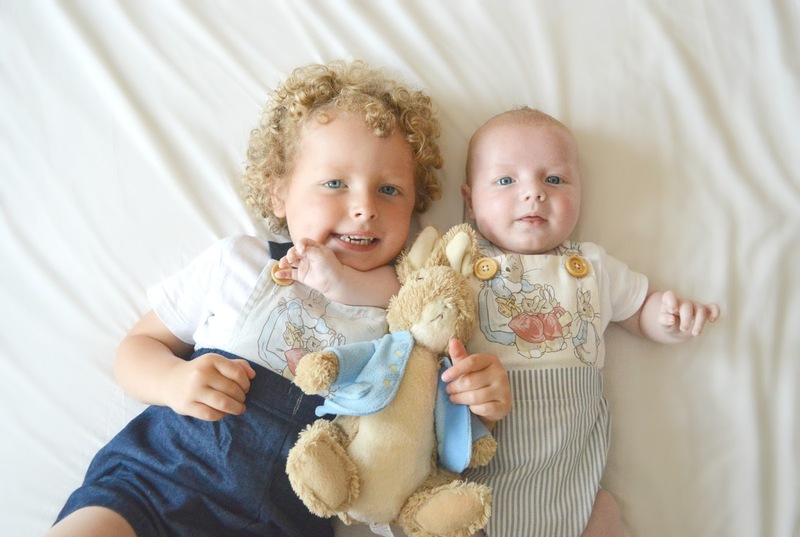 Today is Beatrix Potter's 150th birthday and seeing as we love everything Beatrix Potter, I decided to dress the boys up today in some outfits inspired by probably her most famous character - Peter Rabbit! And their outfits are matching - sorta. 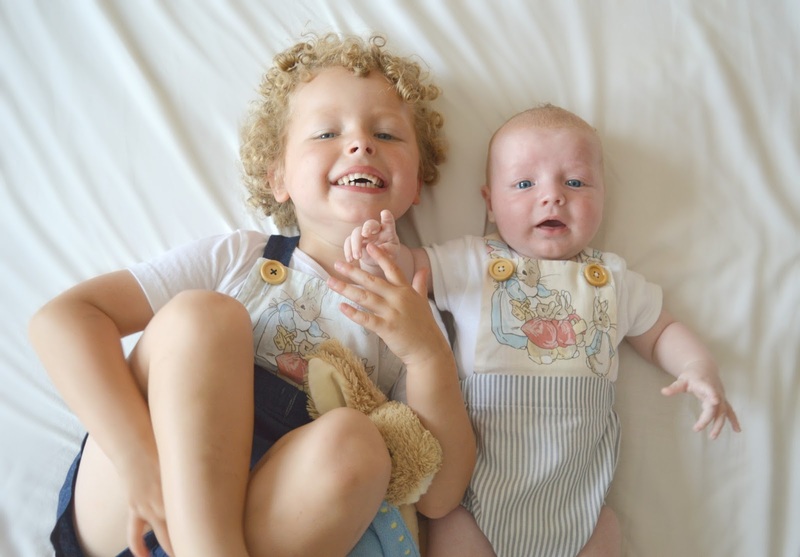 When Beau was born, one of my friends told me that I would have so much fun dressing the boys in matching outfits and I didn't believe them... until now that is - who knew that it could be so fun to dress boys and the same! Lucky I don't have twins or I might have died from the excitement of adorable matching outfits... can you tell I'm easily pleased? These gorgeous little outfits are handmade and are all the way from New Zealand. I found the lady who makes them by searching the Peter Rabbit hashtag on Instagram - I'm always finding the most adorable things on Instagram, not very happy times for my purse but hey ho... 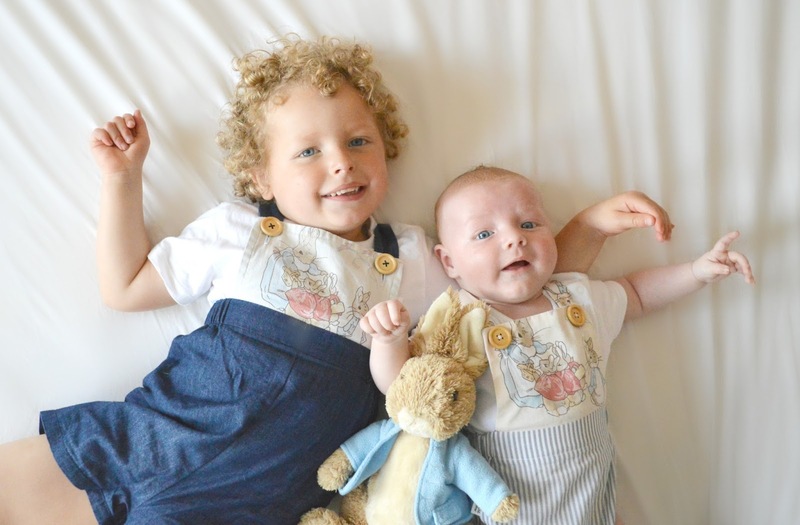 This lady in particular makes the most gorgeous handmade rompers and I'll be getting Beau some more of her Peter Rabbit inspired rompers soon. The shop is Amelia Lee if you fancy taking a look at her creations for yourself. We have so many vintage Beatrix Potter outfits, some of which you can find featured here, but I love the handmade pieces too. 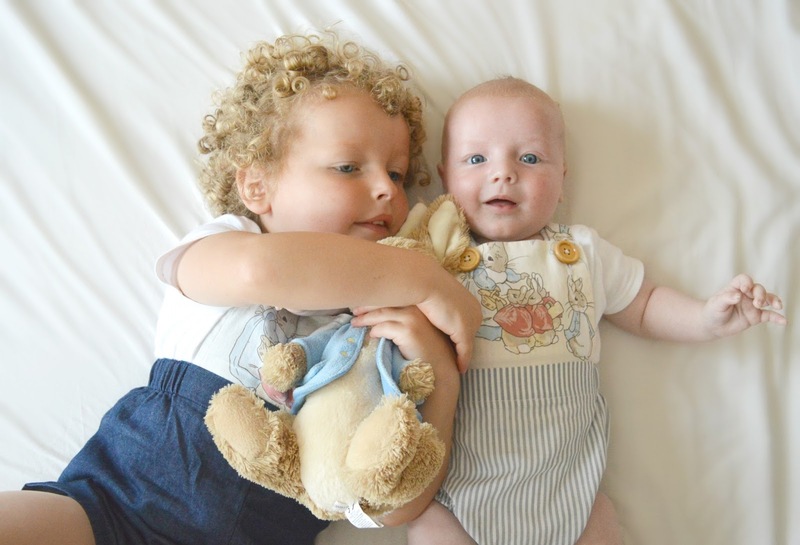 There's something so special for me about having handmade clothes for the boys, especially when they're as lovely as these ones.